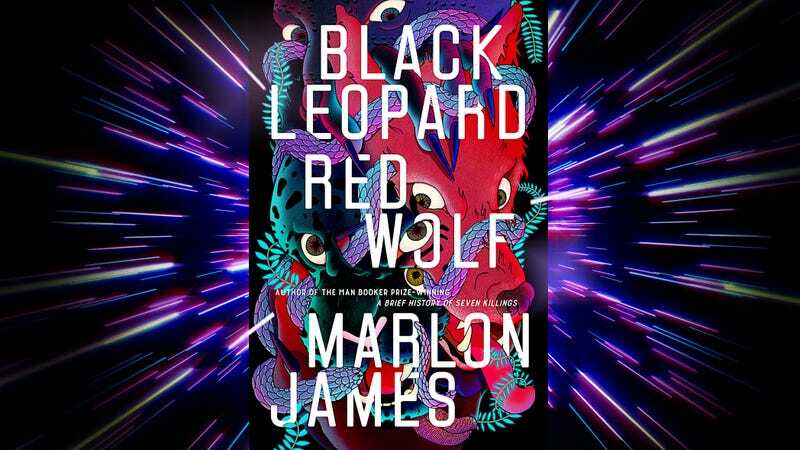 In that sense, and many others, James’ new book, Black Leopard, Red Wolf, is a clear-cut success. The first in his Dark Star trilogy introduces readers to a robust and enthralling ancient African world. Black Leopard, Red Wolf has all of the accoutrements and tools necessary for quickly grasping the world as written. A long list of “Those Who Appear In This Account” at the front and a series of maps at section breaks are excellent and usable reference points that both seasoned fantasy readers and converts to the genre, enticed by James’ literary fiction pedigree, will find handy. The plot of Black Leopard, Red Wolf centers on a team that heads out to search for a missing boy. The group includes the point-of-view character, Tracker, who has a superhuman ability to track people via their scents. Along with him is a shapeshifter known as the Leopard, a massive being named Sadogo who very much dislikes being called a giant, and others. They take up the quest at the behest of Amadu, a slaver who is cagey about his relationship to the missing boy and his reasons for so fervently wanting information about his whereabouts. James’ ragtag team sets out on the journey despite their differences and reservations. The interpersonal tension within the crew is where Black Leopard, Red Wolf really crackles. Tracker is occasionally prickly and controlling, which rubs his colleagues the wrong way. As they’re advancing along their route, they have the choice of proceeding through the dangerous Darklands or taking a detour that would be safer but take more time. As one of the few who has been through the Darklands before, Tracker is insistent they take the safer option. “Everyone finds what they are looking for in the Darklands. 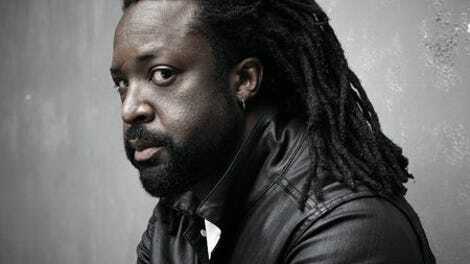 Unless you are what they are looking for,” he warns. This proclamation—half impactful warning, half word salad—is not well received. When Sadogo begins to head into the Darklands, ignoring Tracker’s words and leaving him behind, Tracker asks why. “Maybe he thinking he tired of your fat verse,” Fumeli, the Leopard’s bowman says. “You sound like those men with white hair and shriveled skin, who think they talking wise when they just talking old.” Despite the reader’s sympathies lying with Tracker, whose warnings are rooted in lived experience, it’s satisfying to see his sometimes grandiose schtick get knocked down a peg. Watching James balance and narrativize competing sensibilities is consistently enjoyable and rewarding. The characters that populate Black Leopard, Red Wolf have origin stories rooted in trauma and violence, and James captures it all masterfully. Just as in A Brief History Of Seven Killings, he writes violence with a matter-of-factness that is as clear as it is distressing. He neither luxuriates in it nor protects readers from it. James also makes enduring these descriptions a part of Tracker’s character. Early on, when Tracker is confronting his uncle about murdering several children, he asks if any of his victims screamed. His uncle replies, “All of them did. When we locked them in the hut and set it on fire. Then there was no screaming.” Tracker hears this and thinks, “He said that to shake me, and it did. I didn’t want to become the kind of man who was never disturbed by such news.” The implicit question written into this is whether it’s possible to thrive in a brutal world while remaining humanely sensitive to the brutality. A trilogy-opener has the difficult job of being a compelling novel in its own right while preparing for what will follow. Black Leopard, Red Wolf clears both bars with ease.